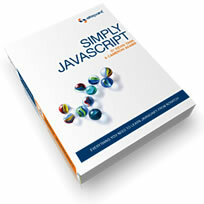 I think this book is a good companion to DOM Scripting by Jeremy Keith (reviewed here). They both emphasize best practices like unobtrusive scripting and progressive enhancement. The intended audience is also the same. Overall, I am enjoying the book so far and I have learnt some things that I may have conveniently skipped over in the past. Recently, @MikeStreety wrote a blog post called My Favourite 5 Books, started a #bookstobuy hashtag on Twitter, and suggested that a few other folks could write blog posts with a similar theme. Here’s my contribution to that. I found it quite difficult choose only five from my bookshelf so I’ve chosen five books that I found easy to read. My concentration span for reading seems a lot less these days so if I find a book easy to read, that’s quite a compliment! Anyway, without further ado, here are my #bookstobuy book suggestions.